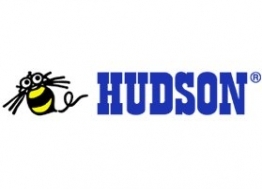 An insider at Hudson Entertainment has broken the news that his company is closing its doors following Konami's purchase of Hudson Soft. This isn't a good week for those who work in the videogame industry. First, there was the news that Harmonix had been hit with layoffs and now it turns out that Hudson Entertainment is shutting down. The company's closure is due to Konami buying Hudson Soft, the parent company of Hudson Entertainment. This isn't entirely surprising, since Konami already has offices in the San Francisco Bay Area and presumably wouldn't need Hudson Entertainment to publish games in the US. According to a blog post by Morgan Haro, the brand manager for Hudson Entertainment: "It was revealed today that all of Hudson's previously planned projects have been canceled and that our office will be closing it's doors at the end of February ... There apparently won't be any need for the talents within the San Mateo offices of Hudson Entertainment." As the industry continues to march towards the drum of Western game development, Hudson became for me, a symbol of why Japan has fallen behind when it comes to bringing world-wide hits to gamers. The act of producing and developing a game in Japan, and then bringing that game over to the US to compete in an increasingly competitive market is more and more, and incredibly tough proposition. A challenge in itself to be sure, but to compound the issue, minimal communication and stifled collaboration seems to be hampering the chances of success. In previous generations, developers only had so many factors to worry about to produce a title that meets a general level of acceptance. But as we, as gamers, became more accustomed to games that demanded not only more from the player, and in turn, more from the developer, many companies seem to be having a hard time keeping up. It should be noted that Hudson Soft itself is not closing down and will keep its offices in Japan. Hopefully everyone at Hudson Entertainment will be able to land on their feet.